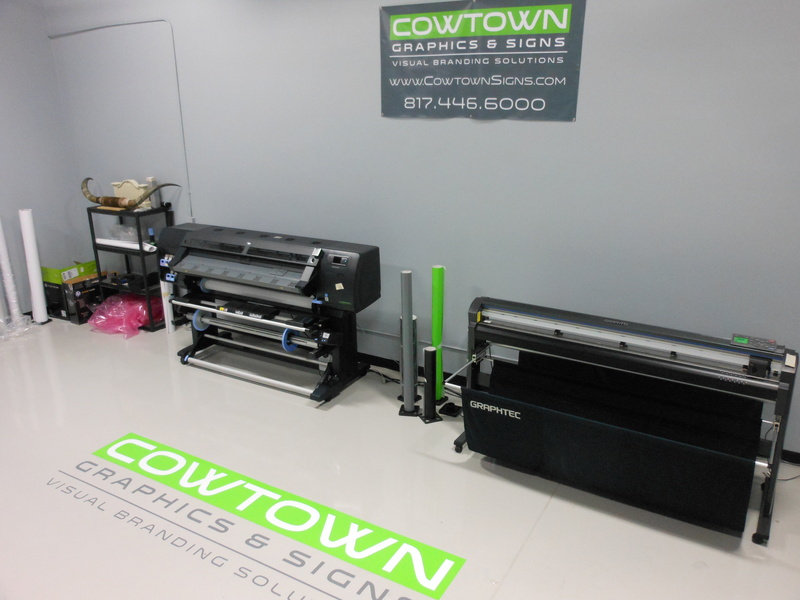 Cowtown Graphics & Signs, a state-of-the art custom sign company, opened for business in Fort Worth on July 15th. The company designs, manufactures and installs interior and exterior signs of all kinds including; building, lobby, event, monument, traffic signs, banners, trade show displays, window and vehicle graphics as well as custom wall murals. “We are happy to have Roger and Andrea as a part of the Signworld family and whole-heartedly believe that they have the tools and ability to be the best sign company in Ft. Worth. Roger’s ability to build relationships and generate sales in chorus with Andrea’s ability to manage the operations of the business is a winning combination that is needed to be successful.” said Ken Kindt, President of Signworld. Cowtown is one of a group of 270 independent sign companies across the country with access to ongoing technical and business training along with group wholesale purchasing discounts. This collaboration helps its members offer customers a wider range of services at more competitive pricing. Roger began his marketing career at licensed sports apparel manufacturer Logo Athletic in 1995 and worked at several other apparel companies before establishing the business in March of this year. Cowtown general manager Brandon Chilcutt brings a broad range of expertise gained through almost a decade in the sign industry, including graphic design, production, purchasing and inventory management. Brandon’s artistic talent and experience will offer small business owners access to the professional level design that is critical to success in today’s competitive business climate. A ribbon cutting and grand opening is planned for Thursday, September 12 from 4-6:30 p.m.